Music runs in the family – that's a fact proven by many budding artists who bear fruit to names like Marley, Brown, Romeo or Hill. A new branch on the global Reggae Tree has grown from Abyssinians-founder Donald Manning. His sons Pele, Judia, Prince and Joshua Manning, along with Texas-born brothers Josh and Chris Mundahl, formed the Rootz Revealerz in 2005. 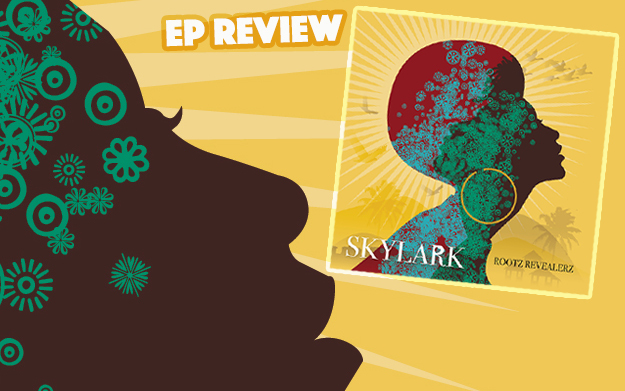 The band of four (Pele unfortunately passed away in 2008 and Josh left the band in 2009, just after the release of their debut album Sweet Jamaica) now presents their second production Skylark. The EP contains only 8 tracks, but these reflect perfectly well the genre they adhere to: Rocksteady, Early Reggae and the soulful harmonies of famous vocal groups such as The Viceroys or The Tamlins. The latter make their influence known in Times Hard, which features the veterans, as well as in Rude Boy, where they are relegated to the background. Making an impressive appearance, Ras Goudie is spicing up this track in the foreground, turning the feature into one of the best tracks of the album. And it's exactly this spice which is lacking the band's lead singer Chris Mundahl. His voice isn't charismatic enough to add to the glamour of this wonderful music crafted by living legends such as Dean Fraser, Flabba Holt or Chinna Smith – pleasant and well-schooled, no doubt, but especially in Back To The Island (which sounds a bit as if it's meant to play on a Caribbean cruise ship or in tourism bars along Jamaica's North Coast) too plain to really make an impact. This smooth vocal quality, however, goes very well with the title track Skylark, originally released as far back as 1941 by Hoagy Carmichael and Johnny Mercer. Both Seller and She Pray reflect on serious topics, further adding to an overall conscious outlook. It's the combinations that make this album special, though. Bed Of Roses, for instance, written, produced and sung by "Daddy" Donald Manning, connects The Abyssinians and the Revealerz in a way that explains their joint European tour coming up. Another interesting feature is CP Ink in Basket, a metaphorical attack on false promises by politicians during election campaigns. With Skylark, the Rootz Revealerz take us back to the golden era and vintage sound of Roots, Rocksteady and Reggae, further widening the island's current abundance of musical diversity. It must be quite an experience to see the band live, a fortiori when two generations combine on stage. Let's give them a warm welcome to Europe!